Almost every field of communication today uses fiber optic cables – telephones, CATV, LAN, mobile phones, CCTV cameras, almost everything seems to be made of optical cables. There is no denying that optical cables are the fastest method of transporting large amounts of data quickly and efficiently today. Being cheap to produce and easy to use explains their rise in popularity in such a short time. These cables can transport data over longer distances with hardly any loss in quality and in less time than most other communications medium available to the public. 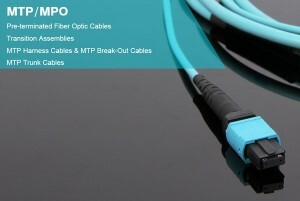 Today we take a look at some of the practical uses of optic cables. CCTV cameras and similar security measures represent another often overlooked use of fiber optic products. Offering far more security than wireless cameras, CCTV cameras connected with optical cables send crystal clear pictures over longer distances in a shorter amount of time. Transporting video surveillance using optical cables has another advantage – such cables offer wider bandwidth, thus feed from several cameras can be sent securely through a single optical cable. Telephone networks were the first major widely used the fiber optic products. For a long time the telephone industry used to use copper wires and radio links between telephone switches to carry the voice over long distances. However with the advent of optical cables that gave better bandwidth and were far more cost effective, they became the first choice immediately. With thousands of times the bandwidth offered by copper wires, optical cables soon became common in every telephone office and long distance switches. It must also be mentioned that this helped greatly reduce the price of calling your loved ones who lived miles away. The internet is something we all use every day but not many of us know that the backbone of it all is the optical fibers. Probably the most important use of fiber optic products, the internet is one of the most important inventions of man. This started in the days of the telephone when data and voice traffic would mix and flow through as the same thing thorough optical cables. Now data has taken over voice traffic and as we stream videos, download games and surf the internet massive amounts of data flow through optical fibers each second. Now many service providers use dedicated internet networks using optical cables specially designed for transfer of large amounts of data.